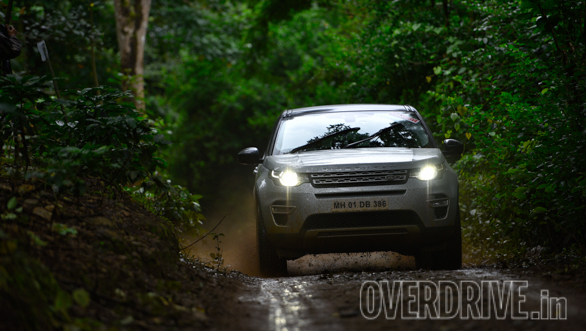 If Jeep is the father of SUVs, then Land Rover is the mother. And both continue to have a reputation of building the best off-road machines in the world. The Discovery Sport looks sleek and swanky but doesn't carry the all-powerful street presence you expect in a Land Rover. It's also so tidy and neat looking, that you don't want to get it dirty playing in the mud. The stout A-pillars along with the speakers mounted on their insides, block cornering vision to a large extent. Ingress and egress at the front is favourable, but getting into the rear requires more effort. 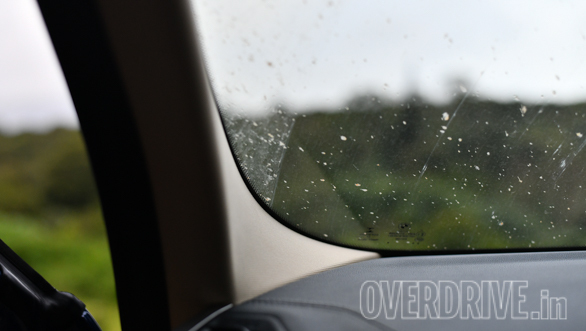 The wipers clean a considerable area of the windscreen and the washers have a diffused spray. The 200mm of ground clearance is respectable, but you expect more in a Land Rover, especially with what is offered by Volvo. The front overhang is longer than desired with the rear also not being that short. But fortunately, it tapers upwards so it's not a problem. 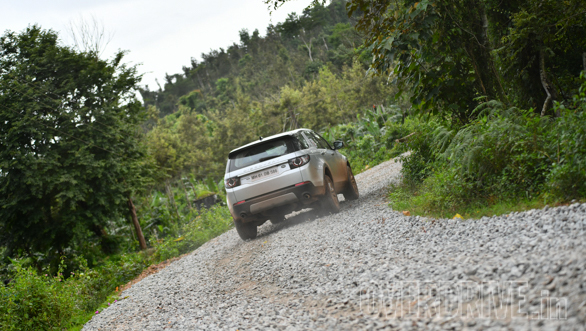 The Discovery Sport possesses all-wheel drive and a terrain response system with modes like general driving, grass/gravel/snow, mud/ruts and sand. It also has ATPC or All Terrain Progress Control, which allows you to pull away smoothly, even on low friction surfaces. The hill descent features a useful speed control and the surround camera provides a 360 degree view. There is proper metal underbody engine protection. With the third row of seats up, the luggage carrying capacity is meagre, but with them folded down, it's almost double of what is available in some other SUVs. The full size spare wheel indicates Land Rover's objective of their vehicles being suitable for all-terrain and long distance voyages. But the wheel is located under the rear floor with difficult access. Headlights have washers and all the instruments and switches are very legible and easy to read, even during off-road driving. The engine is the least powerful in its category and feels sluggish at lower revs. But push it hard and the response is pleasing. High speed stability is likeable and there is a fair amount of cabin storage. It's remarkably sure-footed and feels stable and solid at all times. 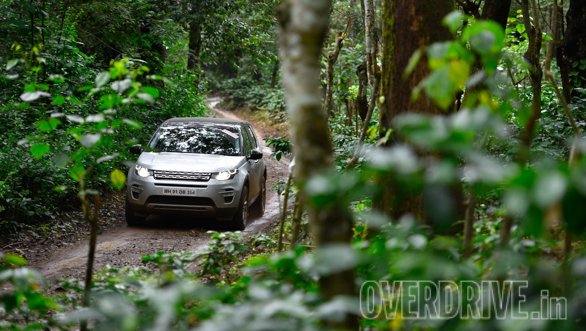 Steering is responsive and the Land Rover Discovery Sport retains its calm under heavy braking too.